It sets up quick, features an all-weather net and folds flat for easy storage; Easy to assemble or disassemble for portability. Hook and loop tapes to fix the net firmly; Anchors and ground nails to secure the goal firmly on the ground. Durable PVC frame and nylon net that smells well, non-toxic, chemically stable and better of anti-aging; Heavy duty with longer Service life. 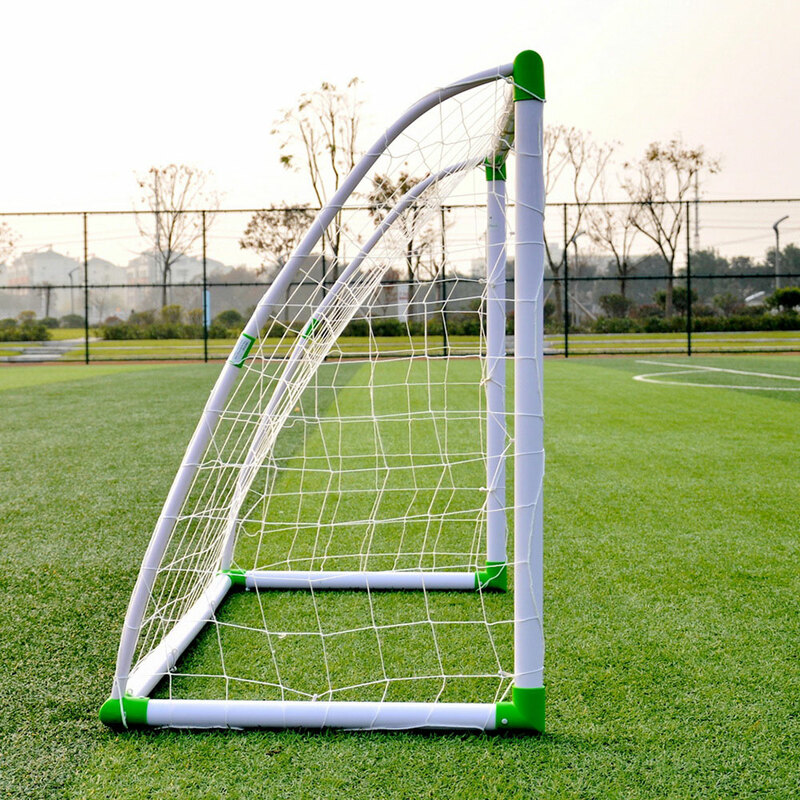 Ideal for indoor / outdoor backyards or shared use coaching fields at schools, colleges and soccer camps; Perfect for junior football. We'll provide a 5 stars experience, our world class customer service that’s ready and available to address your concerns. • Playing soccer develops coordination and motor skills and promotes an active lifestyle. • Ideal for use on the beach, community playground, school, etc. • Buckles are included to fix the net firmly. • Easy to assemble or disassemble for portability. • Ground nails to secure the goal firmly on the ground.